Learning to study efficiently will help you in all of life’s endeavors. Whether you’re still at school, starting a new job, or just picking up a new hobby, the ability to study effectively is crucial to your continued progress. By following just a few simple steps you can vastly improve your academic or work life and get started on the route to success. Rome wasn’t built in a day. If you start with grandiose ideas of achieving your goals in a week, you’ll just set yourself up to fail. Realistic expectations, whilst not as exciting, are infinitely more conducive to success. Set yourself a small but achievable goal to complete every day over a longer period. Five minutes every day will have a greater impact than one hour every seven days. Consistency is king. The slow but steady approach requires foresight so plan ahead. Rewrite your notes or study materials. Ensure the act of taking notes in class doesn’t distract you from listening and concentrating on what is being taught by taking briefer, more concise, notes. Later on, rewrite those notes, expanding on what you’ve written with what you’ve learned. The physical act of writing down information repeatedly will help it sink in. Take time to configure an achievable weekly timetable. Factor in other considerations and commitments in your life and create a schedule you know you can stick to. Be realistic in your approach and disciplined in your execution. Allocate a small study period to the some time every day and commit to it. When you inevitably stray from your planned routine, don’t panic. How you react to indiscretions is the real test. Get back on the horse and slide straight back into the routine. Now you’ve got your schedule figured out, you need somewhere to study. Find a quiet comer where you feel comfortable. Try to find somewhere without distractions of sight or sound and where you can study without being interrupted. If you’re studying for a test, try to mimic exam conditions. Information is recalled more easily when in a similar situation to when you first processed it. Customize your study space to eliminate all possible distractions. Draw the curtains, turn off your phone, shut the door. You can download all sorts of apps and extensions to block your favorite websites for a set amount of time. However, some distractions are unavoidable and it will ultimately take willpower to overcome them. If you focus on your goal and the end result, any interference is surmountable. 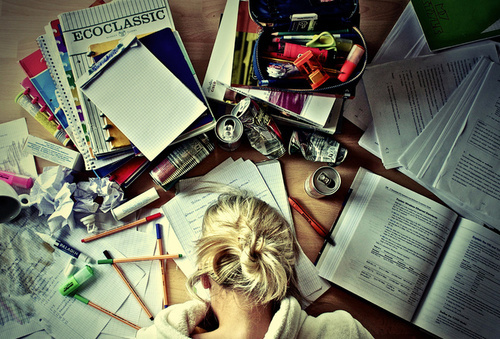 The road to successful studying is paved with hard work and dedication. Give yourself the best chance of achieving your goals by following these simple steps. Customize these points to create the best program for your individual needs. The ability to study more efficiently will set a person up for life. Adapt the steps listed here to any situation you come across and success will follow in time.